Real Russia Video Blog has been launched in 2012 by “Sergey x 2” as they are called – Sergey Baklykov and Sergey Pichugin – the two enterprising young men from the city of Ufa, the capital of Russia’s autonomous Republic of Bashkortostan. Feeling tremendous dissatisfaction with the misunderstanding and misrepresentation of Russia in the West, they decided to start a Youtube channel entitled REAL RUSSIA, in which they endeavored to document the true Russian life as is, without any propaganda, embellishments or editing. Being in complete agreement with Sergey x 2, I also do my best to dispel such misconceptions and enlighten my readers. Read my various articles about Russia on this blog. 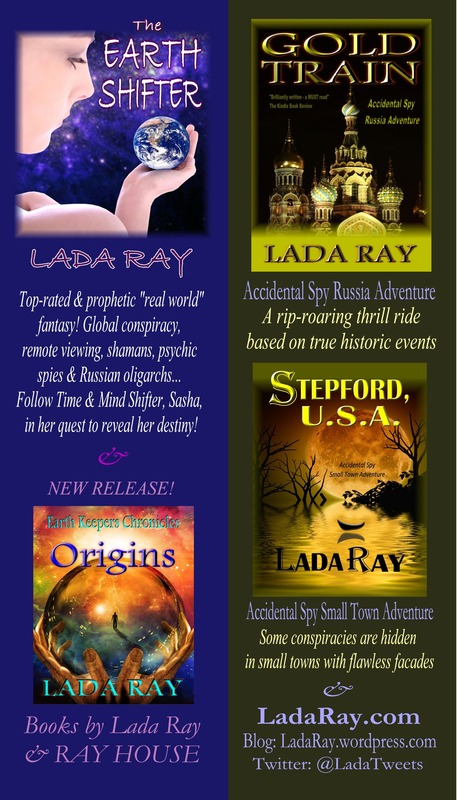 I also write truthfully and extensively about Russian turbulent history and its ever-changing present in my books GOLD TRAIN (Accidental Spy Russia Adventure) and my new release, THE EARTH SHIFTER. Both books can be purchased on Amazon by clicking on above title links. Back in 2012, I promised my friends at the Real Russia Channel to share their entertaining and educational videos with my friends and followers. However, with all the other events and timely topics, this idea has since been on hold. I’m now taking this opportunity to deliver on my promise. 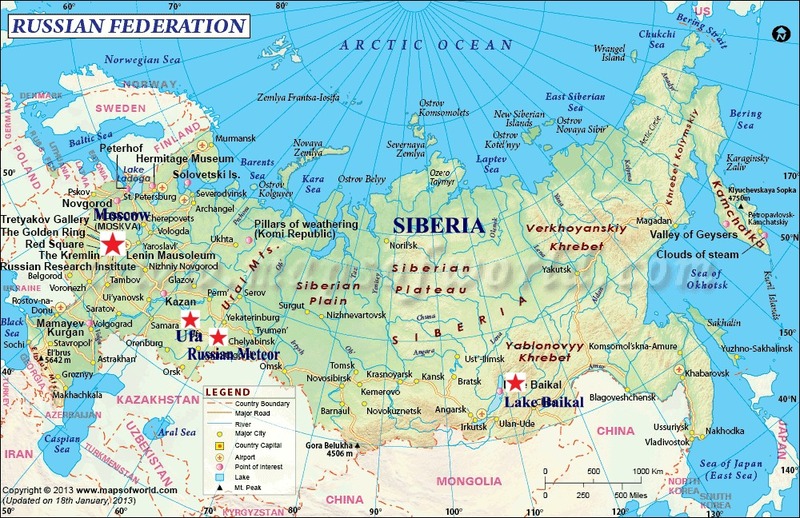 A word about Russia and Bashkortostan: The Russian Federation is the most multicultural country in the world, consisting of approximately 100 different nationalities and ethnic groups – widely different, large and small! Because of that, there is a number of autonomous regions and small republics, which form part of the federation. Bashkortostan is one of them. It is located in the Ural Mountains, about 1000 km east of Moscow. The Ural Mountains serve as a perfect vertical divider between Europe and Asia, and this is visible in the composition of the population of that region. As you’ll see from the videos, the population is very mixed, about 50% Russian/Slavic and 50% Bashkir, an Asian ethnicity speaking Bashkir language, which together with Mongolian, Tibetan and Tatar is part of the Turkic family of languages (not to be confused with Turkish language). Bashkortostan is known for its oil deposits. There are two dominant religions: Russian Orthodox (Christian) and Muslim (Bashkir). The autonomous republic has its own flag, anthem and government. The signs in the republic are in both Russian and Bashkir, as these are the two state languages. 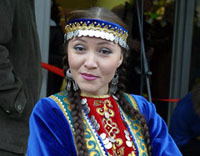 The everyday language is primarily Russian, although Bashkir is studied in schools alongside Russian. One of the things that strike me while watching these real life vids, is how well the two very different ethnicities and religions get along in Bashkortostan! They tend to intermarry, embracing both cultures as their own. This tends to be the way of life in most such Russian regions, where the Russian culture is embraced as the national culture, yet local roots are celebrated equally. If only the rest of the world learned to live like that! 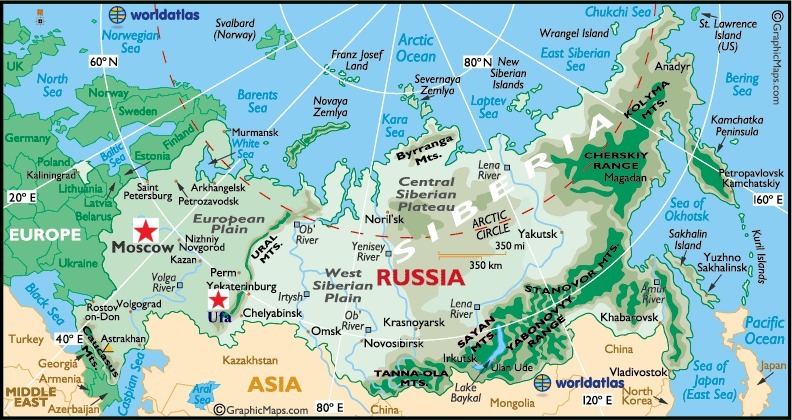 As you see, this small and remote republic is somewhat different from the heart of Russia, and from the image many in the West have of this country, but according to Sergei x 2 team, this is the true Russia! I will certainly agree with our dynamic duo. The Russian culture spiced up with a distinctive multicultural mix, the typical everyday living, common history, and the new and exciting developments, all make Ufa into a charming and fascinating destination. By the way, remember the recent meteor incident in Russia? Guess what, the City of Ufa and the Republic of Bashkortostan neighbor directly the Chelyabinsk region, where the meteor shower took place, as seen on the map of Russia above. 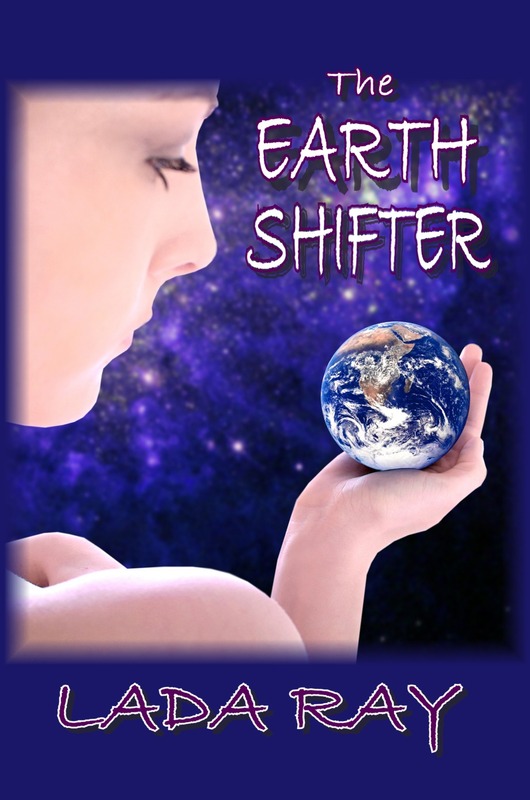 Watch eyewitness vids: The Earth Shifter Plot Playing Out in Real Time: Massive Meteor Rocks Russia. On map: Chelyabinskaya Oblast (Chelyabinsk region) located to the east of Bashkortostan, in the westernmost part of Siberia. The vids below show Russian life as is, without smoothing out any rough spots. The presenter speaks pretty decent English and the vids are entertaining, as well as educational at best. This is post one of my new Real Russia video series. Below, I’ve included several of the best videos, courtesy Sergey x 2, in which you can experience the everyday life in this Russian province as well as its Soviet past. Presenting: THE REAL RUSSIA! Episode 1: Welcome to Real Russia! It includes: Sergey Baklykov’s old Soviet clunker; driving on the Ufa roads; Ufa’s lovely city center, including its main artery, the Lenin Street; a look at the both Sergeys apartments (warning: not for the faint of heart, ahem…ahem… ;)). Episode 2: Russian Parks. This charming episode is a must watch! Growing up in Russia, I loved the local parks, and watching this vid brings back my most cherished childhood memories. Unlike the trendsetting capitals of Moscow and St.Petersburg, in some ways, Ufa still has one foot in its Soviet past, although the new sprouts are visible everywhere. Note: in the 1990s, most streets, parks and other locations with Soviet names in such large, trendsetting cities as Moscow, St. Petersburg & Odessa have been given back their old historic names. In St. Petersburg’s case, the whole city was renamed from Leningrad back to its original Saint Petersburg. Unlike most large central cities possessing their own old and rich history, Ufa is a relatively young place, built up during Soviet times. Hence, their preservation of the Soviet names, as in Lenin Street & Communist Street. They certainly made peace with their history. The new and the old blended together as one – works for me! Episode 5: Russian Public Transport. The Russian public transportation system is very well structured, comprehensive and well-oiled. Ufa, where the guys are from, doesn’t have the famous Russian Metro, which is a preferred method of getting around major cities like Moscow & St. Petersburg. For more on the Russian Metro, complete with awesome pics, see my post, Amazing Russian Metro. This is an excellent episode in which we can experience the old-world charm of the very affordable Russian trams, trolleybuses and buses, as well as the shared taxi service called “Gazelle” – live! Also, something that’s very traditional in Russia and other former Soviet states, but inconceivable elsewhere: a tram/bus conductor carrying around bagfulls of cash, and amazingly, it doesn’t occur to anyone to steal all that money! More about the Russian public transport and its history: Gold Train May Day Interview and The World of Russian Trains and My Childhood Memories. Episode 18: Traditional Soviet Communal Apartment. A communal apartment is a purely Soviet phenomenon, born of housing shortage and a well-intentioned, but misguided, drive to equalize the living standards of the rich and poor by making everyone’s life miserable. Now a relic of the past, it was a shared apartment, where a family occupied one, two or three rooms privately, while sharing all other areas. Typically, there was one shared entrance, kitchen (usually with multiple stoves and tables), bathroom and corridor. It is ironic and fascinating that communal apartments were only possible on the posh and fashionable streets of the richest and most popular cities, such as Moscow, St. Petersburg and Odessa. 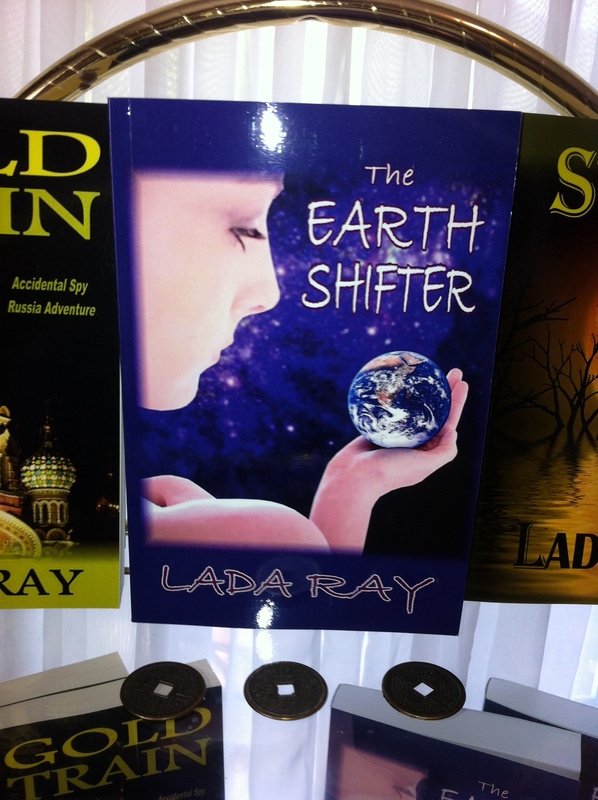 Incidentally, I describe in detail the history and realities of the Moscow communal apartment living in my new fantasy/thriller THE EARTH SHIFTER. Check it out! As Sergey x 2 have discovered, there really were no communal apartments in Ufa, since it wasn’t in the category of the most desirable and fashionable cities. Therefore, they had to get creative. They found a way to demonstrate the communal living realities via an episode from the recent Russian musical movie, Stilyagi (1998), which describes the communal life in a 1940s Moscow blue collar apartment. I’ve never lived in a communal apartment, but some of my friends and relatives did, and I must say, this episode is super-entertaining (a great song too), but generally, communal life I’d observed was much more civilized than shown (of course, I’ve only been to the 1970s-80s communal apartments occupied by intelligentsia). In most cases, there were no more than 2 or 3 families sharing such a place. Oftentimes, these apartments were lavishly decorated and well maintained, with tall ceilings, beautiful details and extra-large rooms and kitchens. So, the view here is sensationalized; still, this is a rather fascinating slice of the Soviet life circa 1940s/WWII and a mesmerizing movie scene, which I highly recommend! Thanks for the post and videos. I enjoyed! Glad you enjoyed it. I think we all have very special memories of the Russian trams, wherever we are right now in the world. Will never forget my Tram No.5 in Odessa. One of the coolest and most famous routes in the country, connecting the most famous beaches and resorts. There is even a song about it called “Tramvai Pyaterochka,” or something (meaning of course, “Tram No.5”). I’ll have a new video post about Moscow soon. Stay tuned! Hi friends: I really like the video on McDonald’s and how much you enjoyed your meal! We have it in France as well, and it is a convenient stop when you have very little time and you’re hungry!